Over the Earthworks | Just Shooting Memories! I have been fascinated by and a student of history since a very young age. My favorite time period is the dark ages, but unfortunately, living in the United States prevents me from making it a regular recreational hobby. Well at least the visiting of any good medieval sites. So, in it’s place, I have had to make due with historical sites much closer to home. This has been the battle sites of the Civil War. 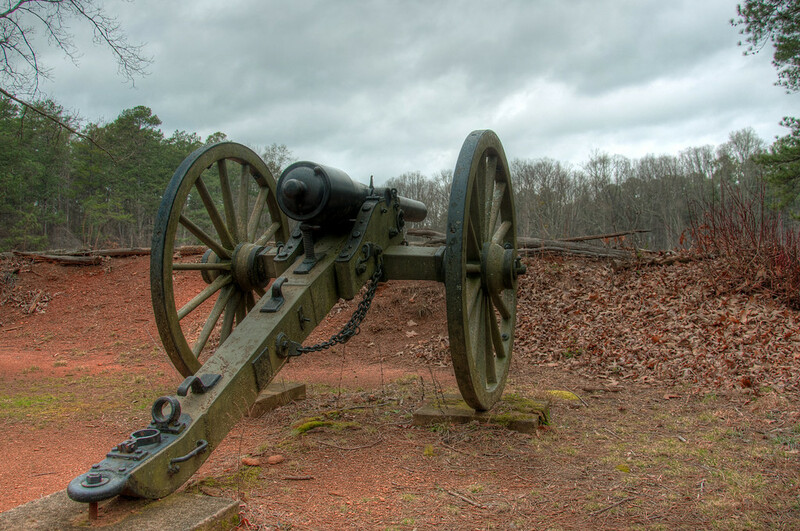 I found this cannon on the edge of a field at the Kennesaw Mountain National Battlefield Park. If you listen closely you may just hear heart beats of soldiers waiting behind these earthworks for the coming battles.